In previous part of the tutorial we created basic product importer which periodically checks products from external Product Information Management (PIM) system and stores them as Sitecore items. The implementation could be further improved by the usage of Sitecore item buckets and search indexes which improves the performance for large number of data. 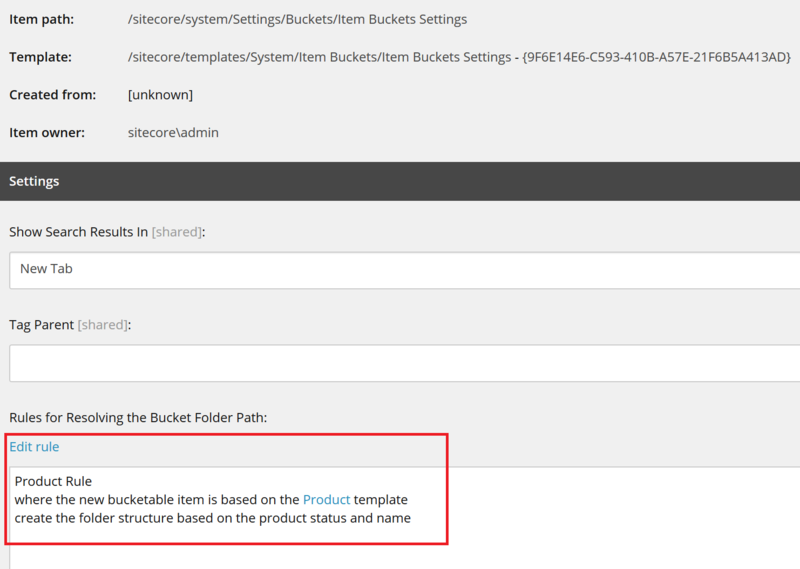 Setting “Bucketable” means that all “Product” items can be stored in item bucket. We checked also “Lock child relationship” which we’ll be use later. 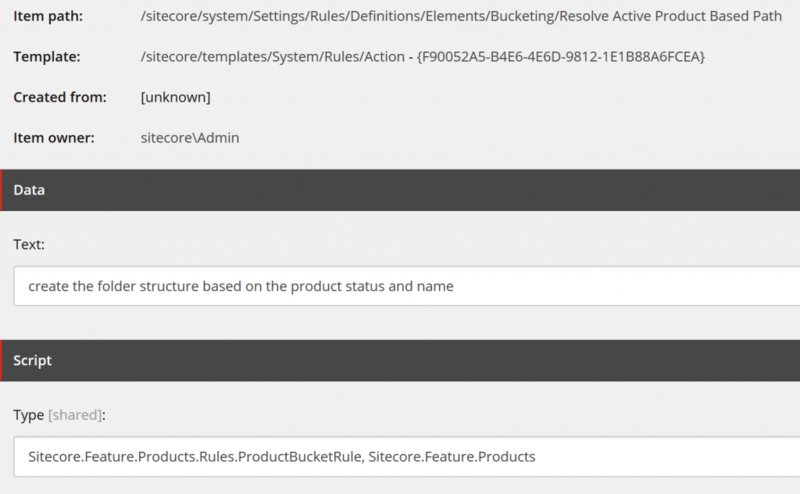 By default Sitecore stores items in buckets using structure based on item’s create date. We want to change this, so it will mirror the structure of our products from PIM system. This can be done by creating custom bucketing rule action item under /sitecore/system/Settings/Rules/Definitions/Elements/Bucketing node. We fill “Text” field with content editor’s friendly message and “Type” field, where we point to our custom class in our assembly. Now we can transform “Product Repository” into item bucket. 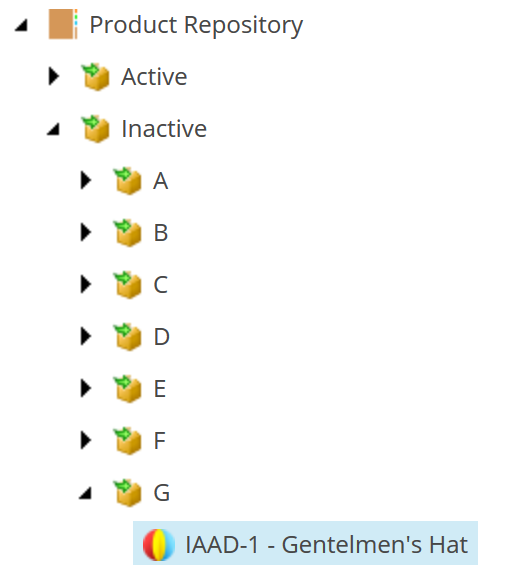 This is done in “Configure” tab by clicking “Bucket” button, while the repository item is selected in the content editor tree. 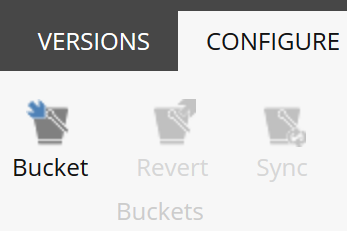 If we already have some products in the repository, we may need to click “Sync” button, so our bucket will have proper structure. Assuming we will have lot of products, we want also to improve import mechanism. We can do it by replacing existing products search done directly on database, with search indexes. We take the index of bucket’s item, build predicate and perform the search. Now let’s use those methods in our importer code and replace searching for existing products with “SearchBucket” method and add “SyncBucket” at the end of the importing. Mind that we do this only if there are any new or modified products. Mind that you don’t need to check “Bucketable”, or “Lock child relationship” fields in subitems.